Jamieson Building & Construction features is a young team of local and enthusiastic builders, focusing on the highest standards of construction for exacting clients. 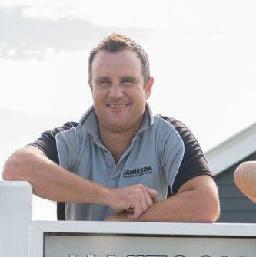 Builder Stuart (Stu) Jamieson grew up on the south coast of NSW in Nowra. After finishing his apprenticeship he moved to Sydney where he gained extensive experience in both commercial and residential projects in the eastern suburbs. Stuart and his partner Kelly decided that the south coast was where they wanted to call home and raise their young family. Stuart and Kelly moved back to the south coast in 2006 where Stuart gained valuable experience in construction of bespoke family homes for exacting clients. Stuart’s has experience in constructing homes from weatherboard, brick and stone with entry level finishes right up to custom crafted detailing and joinery. Stuart’s own team and his reliable and highly skilled trades that he works closely with, ensure complete client satisfaction. If you are considering building a home with a trusted professional give Stuart a call – you wont be disappointed. Stuart has worked with some of the regions renowned builders creating some of the South Coast’s finest homes. Stu’s specialty is contemporary country homes. Jesse has been doing carpentry for 8 years. In his spare time, he enjoys golf, wake boarding, snow boarding, and is currently undertaking a Certificate IV in Building Construction. 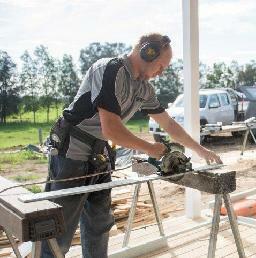 Josh is a fully qualified carpenter and qualified chef. 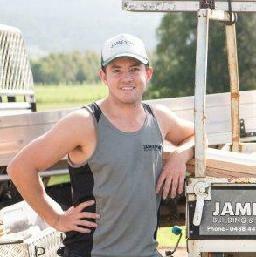 An accomplished sailor, Josh also loves music, and is a keen basketballer.